I’ve had some requests to talk about wallpaper. And I have talked about wallpaper before which you can read about here, here, here and here and then also inter-woven in other blog posts. If you are ever looking for anything on the blog. Just put the search term in the search box, right under my little bio in the sidebar and the posts will all pop up. I use that feature all the time; I’d be dead without it! But Wallpaper Is A Massive Subject! It’s been around for ages, but I’m sure only for the well-heeled back when this beauty was created, some 200 years ago, most likely. And then there are the myriad of applications for wallpaper. Typically, wallpaper is on all four walls. As a rule the bolder the wallpaper, the smaller the space. I know, I’m known for have saying that I’m not fond of accent walls. I’m not fond of them when they make no sense or when they are a copout for not using a paint color all the way around. 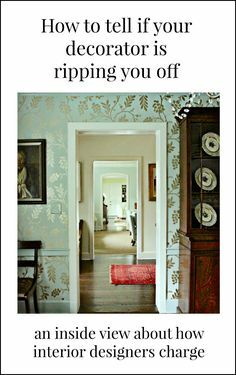 But one wall of wallpaper in a dining room or an entry and other rooms, often makes a lot of sense. This is a great way to use an expensive paper and get away with a lot less. And it’s also great if it’s a design that could use some rest areas. Indeed. I love wallpaper that’s layered with art and/or mirrors, lighting, etc. This takes a lot of planning. Oh my, I don’t know where to begin. I mean, people have written entire books about wallpaper. So, what I think I’m going to do is give a very general overview today and then in the comments, if you guys like, please let me know specifically about any areas you’d like me to cover. One example would be natural wovens and grass cloth and its applications. I am definitely going to do another post about Chinoiserie wallpaper, but this time, I have a whole slew of sources for panels and I’d love to have them all in one place. I’ve seen this paper – EVERYWHERE. Mostly in bedrooms and even in a nursery, but I love this unexpected application in a restaurant with exposed brick. I happen to know that this wallpaper is manufactured by Cole and Sons. It is also available retail at Decorator’s Best. If in the trade, you can go directly to your trade source. 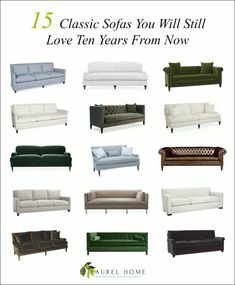 (In the USA it’s Lee Jofa who reps Cole and Son) and it will be a far better deal than the not-very-good discount Decorator’s Best gives to designers. By the way, that is the primary purpose of Laurel’s Rolodex. I do not ever divulge net prices, but I do tell designers the best designer-friendly trade sources for home furnishings. And I also point out a few to look out for. Remember these folks? For design enthusiasts who purchase the rolodex, I always recommend hiring a professional designer for a million reasons. But they will learn of 100s of sources they’ve never heard of before and most have retail divisions. Wallpaper Favorites and Tips already in progress. Another wallpaper from a very cool English brand, House of Hackney. But this one is also sold at Anthropologie. It’s quite traditional and yet has a fresh look to me. I love art hung over wallpaper. I just had to include this one because isn’t that table almost an exact clone of Maura Endres’ console table? The Ringwold Pattern at Farrow and Ball is one of my favorites and I’ve done it a number of times for clients in different colorways. I seem to be in a tropical mood today. Maybe it’s the thunderstorm we had earlier. I could see being enveloped in this paper with lots of mirrors and art. Fabulous vignette by Megan Rice Yager. Please check out the entire home. (link below image) It’s quite stunning! It’s interesting how she used the paper inside the panels to make them almost disappear. This paper has become an internet favorite the last few years. It is by a Swedish company called Sandberg and the pattern is Raphael. It is repped by Old World Weavers in the USA. This is a very strong pattern that was recreated based on a Swedish or French design. That’s cool. I love it, but for me, only in a small space and even then, broken up with art and mirrors or in a wall panel. I love the blue trim and I think that over-all, the room is fine, but it doesn’t look finished. It needs art and a better piece next to the window. I’m also not crazy about the shade and the pendant isn’t up to the level of the rest of the room. It just seems like the room wasn’t ready for the photographer and they faked it. But this is an example where I might have just papered the fireplace wall. Maybe. 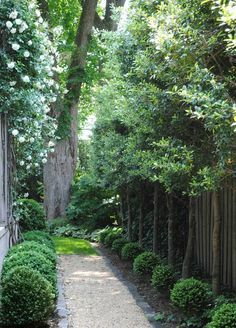 I love this for a small entry. I don’t know what the rest looks like. But when one has something this dramatic, I’d probably keep the adjoining rooms very quite and pale like you see here. This was credited to the Remodelista – Lou Archell’s Home, but I couldn’t find it. Oh my! The next time you hear from me, I’ll be in Los Angeles at the Design Blogger’s Conference. Sunday is my workshop and I’m tho ekthited! Slides are all done and I’m just putting the finishing touches on the guide that folks who are attending the workshop will get for free! On the subject of toile wallpaper, I just papered an accent wall in my bedroom with Thibaut’s (Resort Collection) South Sea wallpaper in the color Tangerine. It’s wonderful!! I am making curtains today in the matching fabric, then will send a photo. I’m curious, did you decide to use the Anthropology mural style paper in your hallway? Still mulling it over… I’ve been preparing for this talk intensely, the last few weeks. It has been a lot of work, because I also created a 54 page guide for the attendees! I think if things are kept over-all lighter, that even a wallpaper that seems very traditional will look fresh and modern. I love that you found your way back home but with your own unique interpretation! Haha! Thanks so much Mary! I’m very proud of my products and love it when others are enjoying them too! Thank you, Laurel! I’ve been staying up till the wee hours reading your blog, and your work has inspired me to fall in love with my new house – it’s taken a long time, because it’s a different style home for me and I’ve not known how to decorate it. Just putting a little love and a few new ideas into it has helped greatly! Do you think wallpaper would look strange just inside dormer windows? This is the last struggle for me – a long rectangle bedroom with 3 dormer windows and a sloped ceiling. Getting the paint right took forever, and I’m not sure how to handle dormer space. Different color paint? Wallpaper? Small art? It just looks like so much unbroken wall in there, even with my art up! Thanks again for brightening my days. First of all, thank you so much for your kind words! As for the wallpaper roll size. I was just talking about that in the comment before yours. Ack! It truly is CONfusing and I know that there are many who’ve been caught with nearly double the paper they needed as a result and you cannot return wallpaper. Ever! 2. You have chosen some beautiful papers for this post, but they are all on the floral side. What about modern or more graphic papers? Not classic enough? 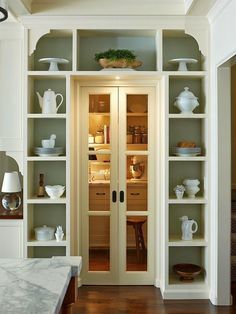 I am currently obsessed with this one: https://www.decorpad.com/photo.htm?photoId=124712. For my entry way or dining room. Thoughts? Or a graphic with a Kelly Wearstler Trellis vibe? First of all, we need to be sure if we are comparing the same size “double roll” when comparing prices. Cole and Son’s “double roll” is actually a Euro roll which usually covers about 55 sq feet. (not including repeats). And american roll covers about 37 sq. feet. However, if one has found a paper in a store and taken the shop keeper’s time and/or advice, I would get the paper there. It is absolutely fine to tell her that you found the paper for less but want to get it from her. Can she do a price match? No, she won’t be thrilled, but if she has half a brain in her head, she’ll take the deal instead of losing the sale altogether. If she says no, then you have my blessing to walk out of the shop and never go back. But seriously, you need to consult with your paper installer for the correct amount giving him the roll size/repeat. Also, this is an expensive English paper. Please be sure that he has experience with this type of paper. You don’t want it falling off the wall. Thanks for the feedback – good call on checking the measurement differences. And I agree on using the shop if you have used their time/advice – that is another great point. Thanks for the wise and honest feedback! I guess I did miss that other kinds of wallpaper posts would be coming – I’ll be patient and look forward to them!! Where are you getting this information? Some of it is not accurate. Cole and Son is manufactured exclusively in the UK according to their website. Hi…what are your thoughts/experiences with choosing toile wallpaper? As always, love your insight! Then, there is Thibaut’s, which I have used many times. I love it in every colorway. I’m so, so fond of wallpaper..and yes, there is wallpaper and Wallpaper. I can’t tell you how much I’m into this Artemis pattern..dream to use it somewhere..if not wallpaper than in upholstery(so expensive though! )..or ok to make it cheaper yet still enjoy it-at least a pillow. If you see this, please give me your pinterest user name. I’d love to see your boards! In that last room, I just can’t stand it… what is with that itty-bitty chair in the corner?! My eye goes right to it and objects. I’m telling you. The room was not finished. The stylist probably had these chairs on the truck from the last shoot. lol And that thing next to the window with the cheap task lamp next to it. The room has so much potential. The shade has to go. But it’s black-out and outside mount when it could’ve been an inside mount. The people are probably neurotic about any small amount of light coming in the room. Fine. They should’ve done drapes and a much lighter shade. I might’ve done a woven wood shade and picked up the green in the paper for the drapes with a darker blue trim. Cream is risky for drapes unless with blackout since it can go yellow. But I think the drapes need to have some oomph since the trim is dark blue. I would’ve added a shelf to the fireplave mantel and it’s crying out for a beautiful old oil painting or a large ornate mirror and sconces. Patti Memsic..sending absolute love & prayers, from the Uk. everything, having a laugh, too ! You are obviously reaching the parts others fail to reach. I admire people who can take a stand because that’s what they believe. This is one for the special, special file. I’m really crying. I hope your child is doing much better and is out of danger. I will pray for that. But… you haven’t seen me up close. (I don’t think.) ;] They just sent me a video of the panel I was on at KBIS. I watched about 15 seconds of myself and couldn’t bear it any more! Oooh. I do love wallpaper.